SPring-8 is the world’s-highest-performance synchrotron radiation facility and is expected to markedly promote the structural analysis of various materials, create new fields of science and technology that were not achieved with conventional light sources, and bring about breakthroughs in a wide range of research fields including materials science, biotechnology, information technology, electronics, chemistry, and medicine, as well as in the development of their relevant technologies. Since the start of its public use in October 1997, SPring-8 has been used by more than 110,000 users as a cutting-edge research facility that can markedly advance various research fields such as nanotechnology, materials, life science, environment-related fields, and information communication. SPring-8 has been continuously put to the test as to whether it has brought about benefits as expected because its construction, operation and management are supported by public funding. At budget screening by the Government Revitalization Unit held on 13 November 2009, the outputs of SPring-8 were evaluated and a reduction in its operating budget of one-third to one-half was proposed. The evaluation comments included the following: (1) The outputs of SPring-8 (the merits of continuously investing 8.6 billion yen per year of public funding for the current running cost) have not been explained; (2) SPring-8 should be responsible for fully explaining its merits including its ripple effects as the most costly infrastructure; (3) What merits of SPring-8 are worthy of public funding of 8.6 billion yen per year? If the merits are not fully explained, no further public funding should be invested in SPring-8; (4) The problem of SPring-8 concerns the responsibility to provide explanation rather than the merits themselves. Ultimately, a budget close to the FY2009 budget was allocated for FY2010, in which there were various requests and suggestions for securing sufficient operating time at SPring-8 for user communities such as SPring-8 Users Society and Industrial Users Society of SPring-8, and the Japanese Society for Synchrotron Radiation Research, and many individual researchers. As a result of the budget screening, we have reconfirmed that providing the general public with a wide-reaching and easy-to-understand explanation of the fact that SPring-8 has produced research results worthy of support through public funding for its operation and management is essential for promoting the continued utilization of SPring-8 towards the impressive development of academic research, science and technology, and industrial technologies. Synchrotron radiation facilities are mainly used for academic research, whose results should lead to the acquisition of knowledge. The publication of research results should basically be in the form of refereed articles. However, the number of such articles registered in the SPring-8 Publications Database is smaller than those registered in the European Synchrotron Radiation Facility (ESRF) in Europe and the Advanced Photon Source (APS) in the US, which are third-generation large synchrotron radiation facilities equivalent to SPring-8 (the number of articles for SPring-8 normalized by the number of beamlines and beamtime is approximately 60 and 80% of those for ESRF and APS, respectively; 2007). The results produced at SPring-8 cannot be evaluated only by the number of registered articles because article quality is also an important factor in the development of academic research and science and technology. However, the percentage of SPring-8 research proposals whose results were reported in academic journals were only 20–40% in various scientific fields. It is urgent to increase this number to gain the public understanding of SPring-8 producing excellent research results worthy of public funding. Therefore, we must examine a definitive system for promoting the publication of research results. The reasons why the number of articles for SPring-8 is smaller than those for ESRF and APS were stated in the Intermediate Assessment Report on Large Synchrotron Radiation Facility SPring-8 (July 2007) as follows. 1) The language of articles is mostly English. 2) Japan is located far from Europe and the US and the opportunity for international exchange on research is limited. 3) Users who submitted non-propriety proposals are only required to submit Experiment Reports, which may contain only minimal information, within 60 days after the end of the research experiments. The publication of research results in refereed journals is left to the discretion of each user and is not always persistently promoted by the facility side. 4) The fact that article publication is taken into consideration in the review process for SPring-8 research proposals is not widely known by users. From FY2009, the SPring-8 Selection Committee discussed how to promote the publication of research results on the basis of statistical data on the research results obtained at SPring-8, ESRF, and APS facilities and data analysis of the results classified according to the beamline used at SPring-8 and the research field. In the discussion, JASRI proposed promotion measures, for example, the redefinition of publications from Experiment Reports, which should be submitted within 60 days after the end of the research term, to refereed articles, which must contain a sufficient amount of information. Here, the publication of research results is a requirement for the exemption of beamtime fees, according to the report regarding the Effective Utilization and Management of Large Synchrotron Radiation Facility SPring-8 discussed at the Council for Aeronautics, Electronics and Other Advanced Technologies (hereafter, Council Report No. 20). As a result, the Working Group on the Promotion of the Publication of Research Results was established under the SPring-8 Selection Committee to examine a definitive system for promoting publication. The Working Group held three meetings from May to July 2010 and discussed the following points: 1) redefinition of the publication of research results and its management for non-proprietary proposals, 2) a system for taking into account the number of published articles in the proposal review process, 3) the system of changing from non-proprietary to proprietary proposals, and 4) compiling various publications as information used to gain the public understanding of the fact that SPring-8 has produced research results worthy of public funding. At the meeting on 25 October 2010, the SPring-8 Selection Committee discussed the results of examination of the Working Group and summarized them in the Recommendation from the SPring-8 Selection Committee regarding the Promotion of Publication of Research Results as below. 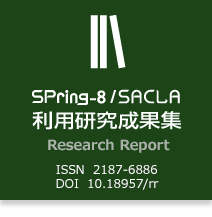 Note that the explanation of research results and publications of SPring-8 was added as an attached material to clarify the contents of the Recommendation. The beamtime fees are exempt for non-proprietary proposals in accordance with the statement, “Regarding the user cost of SPring-8, beamtime fees should not be collected from users who publish their research results,” in (4) Concept for setting user cost, (2) Requirement of user cost, 4. Handling of research results and user cost in Council Report No. 20. The requirement for this exemption of beamtime fees is the publication of Experiment Reports, which shall be submitted within 60 days after the end of the research term. However, this should be changed to the publication of research results that are expected and required for non-proprietary proposals with the aim of promoting the publication of research results. The publications of research results for non-proprietary proposals should be one of the following types of publication described in the attached material to ensure that a sufficient amount of information will be included in the publications. (1)	Research results should be published as a refereed article (including refereed proceedings and dissertations) or a report in a corporate technical journal (in case of industrial applications). (2)	If project leaders cannot publish (1), they should publish their results in the SPring-8 Report (tentative name, hereafter), making sure to include a sufficient amount of information on the research results for non-proprietary proposals. The SPring-8 Report shall be reviewed by JASRI’s committee (including outside experts) to ensure a high quality of the SPring-8 Report. (3)	The proposal number assigned to each non-proprietary proposal should be provided in the above publications. The tightening of the requirement for the publication of research results is not intended to discourage users from submitting challenging proposals but to increase opportunities for researchers to provide useful findings through publication in the SPring-8 Report even when their experiments have failed. In accordance with this tightening, the following stipulation should be added: If the project leaders do not publish their research results by a given deadline, their future research proposals will not be accepted until the obligation is fulfilled. The rules for the publication of research results for non-proprietary proposals defined in Section 2 are as follows. (1)	Project leaders should publish their research results within three years after the end of the research term, although publication within approximately one year is more desirable. Namely, a refereed article or SPring-8 Report on the research results should already be available by three years. (2)	If project leaders cannot publish their research results within three years for reasons specific to the research field or because of difficulty in the experiments, they will be permitted to extend the publication deadline by obtaining approval from expert groups such as the subcommittee of the SPring-8 Proposal Review Committee. (3)	Each SPring-8 research proposal for a research theme should basically consist of experiments that can lead to the publication of at least one article and be completed in six months. Hence, the experiments on the research theme may be separately carried out in multiple proposals. When the research results of multiple proposals are published in one article, the research results of all the proposals are considered to have been published. (4)	Only one SPring-8 Report for each proposal can be submitted※. The language of the SPring-8 Report is Japanese or English. If the expected experimental results were not obtained, the reasons should be examined in detail and described in the report. If the submission of a report equivalent to the SPring-8 Report is required, as in the case of priority proposals, such a report can be a substitute for the SPring-8 Report. (5)	A committee that reviews the SPring-8 Report and its relevant publications and examines their quality is established under JASRI. (6)	Experiment Reports will not be considered as publications that meet the requirements for the publication of research results. With the tightening of the rules for the publication of research results, the publication deadline is extended to three years after the end of the research term (or more if a deadline extension is accepted). Therefore, JASRI should investigate the progress of the publication of research results for each proposal and remind the project leader of the deadline. In the proposal review process, the current point deduction system based on the progress of the publication of research results will be in effect until the new rules for the publication of research results are set forth. The point deduction system was revised before the review of research proposals for the 2010A term: 0.5 points will be deducted (full score, 4 points) if the sum of the beamtime used in the three year period (from 4.5 years to 1.5 years past) is at least fourfold the average beamtime necessary to publish an article for a beamline, but the project leader has failed to publish any article on the results obtained using the beamline. The SPring-8 Proposal Review Committee should, in the future, examine a new system for taking into account the number of published articles in the review of research proposals on the basis of the new rules for publication. Non-proprietary proposals can be changed to proprietary proposals within 60 days after the end of the research experiments until the fiscal year ends. That is, project leaders who have applied for this change by the due date of the payment of the beamtime fee in that fiscal year (for clerical convenience) are allowed to keep their research results undisclosed. Note that proprietary proposals cannot be changed to non-proprietary proposals because the scientific validity of proprietary proposals is not reviewed in their selection process. To raise the awareness of the social contribution of SPring-8 among the general public, research results should be published in not only academic articles but also various other forms, as listed in the attached material, such as comprehensive reviews, invited lectures, awards, intellectual properties including patents, newspaper articles, and TV news and documentary programs. The published works should be complied in the SPring-8 database and disseminated to the public. The aim of this recommendation is to promote the publication of research results obtained using SPring-8 by mandating users to publish their research results of non-proprietary proposals. Our Committee expects that JASRI will examine the details of operation of the new system so that the research results will be guaranteed to be registered in JASRI’s database and will actualize this recommendation in order to start the new system in the second term of FY2011 (the 2011B term). JASRI should thoroughly provide users and relevant organizations with information on the new requirements of the publication of research results for non-proprietary proposals and the new system itself. Non-proprietary proposals using contract beamlines should be carried out following the conventional definitions given for the contract beamlines; the application of this recommendation from the 2011B term is not considered. However, it is very important to promote the publication of research results obtained using contract beamlines. Therefore, JASRI should examine how to realize the aim of this recommendation for contract beamlines in the future. We hope that this recommendation will promote the publication of research results and increase the quality and quantity of publications from SPring-8, making SPring-8 a leader among synchrotron radiation facilities worldwide. These strategies can adequately convey to general tax payers the merits of SPring-8, whose construction and management have been realized through public funding, and will enable the continuous and evolving operation of SPring-8. The world’s-highest-performance SPring-8 will be fully utilized in academic research and industrial applications to attain various achievements, such as the acquisition of knowledge, development of new industries and fundamental technologies in industries, and contributions to business, which will lead to the actualization of the SPring-8 Upgrade Plan and further advancement of synchrotron radiation science. The results of academic research conducted using SPring-8 should lead to the acquisition of knowledge (i.e., the discovery of new knowledge as a common asset of humankind in various academic and interdisciplinary fields). The publications of academic research results should basically be in the form of refereed articles because they are required to include new knowledge (in this sense, refereed proceedings of international conferences are also acceptable). Publications of research results with great technical significance include intellectual property rights, such as patents, in addition to refereed articles. Comprehensive reviews, invited lectures, and awards should also be included as publication materials that increase the value of refereed articles. On the other hand, the results of industrial application should lead to the development of new industries and fundamental technologies (improvement and sophistication) in various industries, and contributions to business (e.g., product development, quality improvement, reduction in production cost). Publications of industrial applications include refereed articles, corporate technical reports such as external newsletters, proceedings of international conferences, materials that increase the value of refereed articles such as comprehensive reviews, invited lectures, and awards, intellectual property rights such as patents, and know-how findings. In addition, exposure in newspaper articles and on TV news and documentary programs is essential for raising the public awareness of SPring-8 in both academic research and industrial applications. These widely ranging forms of presentations should also be actively collected in the database.